The Japanese jet, a F-35A model, would be the second lost to an accident. A US Marine Corps F-35B crashed in Beaufort, South Carolina, in late September. 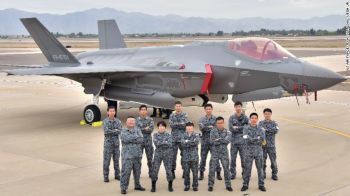 US defense officials in October said a faulty fuel tube was the likely cause, and all F-35s operated by the United States and its allies were temporarily grounded for inspection.